Tales to Astonish #59, Marvel Comics, September 1964. I was reading up on some Hulk history recently and was surprised at just how sparsely the big guy was used in the early days of Marvel. Hulk is one of the anchors of the today’s Marvel U so it’s easy to assume he was a go to guy right from the start. Surprisingly he only appeared maybe 17 times in his first two and a half years of existence. His initial run only lasted the 6 issues, he only lasted 2 issues as an Avenger, and the rest of his early appearances were guest spots in titles like Fantastic Four, Avengers and Spider-Man. Hulk’s appearance in Amazing Spider-Man #14 (July/64) was his last appearance before he resurfaced in this week’s Undervalued Spotlight – Tales to Astonish #59 (September/64). Tales to Astonish #59 features a fantastic Jack Kirby battle cover pitting Hulk vs. Giant Man. This is a great cover! From this period most people would site Kirby’s Journey into Mystery #112 (January/65) as the standout Hulk battle cover but I think Tales #59 is even more dynamic. I should mention Tales to Astonish #59’s Guide value is less than 60% of JIM #112’s. In Tales to Astonish #59 Hulk battles Giant Man and with with appearances by Wasp, Captain America, Thor, Iron Man and even Spidey this book is hard to resist. The story is actually a set-up to reintroduce the Hulk who becomes a regular co-feature beginning in the next issue. Tales to Astonish #60 to #69 is a split book between Hulk and Giant Man, Hulk splits duties with Sub-Mariner through issues #70 to #101 after which Hulk famously gets his own title with Incredible Hulk #102. I checked a couple of sites and I’m pretty sure that Tales to Astonish #59 is Hulk’s 16th appearance (at least cover appearance). Of all the Hulk issues before it TTA #59 is by far the cheapest in Guide value, Avengers #5 at $1400 is next and then things start getting expensive. The book is flat in today’s marketplace, I spotted a CGC 9.2 sale at $1,070, an 8.0 sale at $263 and just this month a CGC 9.0 sold for below Guide at $550. 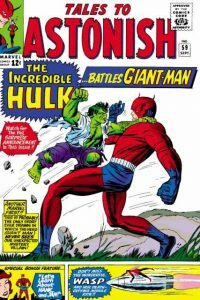 Tales to Astonish #59 was published in 1964, it is an early Marvel and for me it’s a Hulk key issue. As far as I’m concerned it is undervalued at the moment. A CGC 9.2 would get you into investment grade but they get real sparse at 9.4, at 9.4 you’d be in the top 6.4% of all copies. The 47th Overstreet price break for this book is $259/$580/$900 in the 8.0/9.0/9.2 grade splits. Issue used to reintroduce Hulk and set up Hulk’s co-headlining of the title. I’m a fan of this book. Not sure why it doesn’t get more respect in the market. I have a PGX 6.0 copy in my collection. A pretty important comic for the Hulk character and how can anybody not a be fan of that cover. Doesn’t this book also mention for the first time that anger triggers his transformation? Which should be another important aspect of this book. Nathan beat me to it, but yes that is correct too. That major aspect of the Hulk first surfaces here too. Great pick, Walt! I am torn. 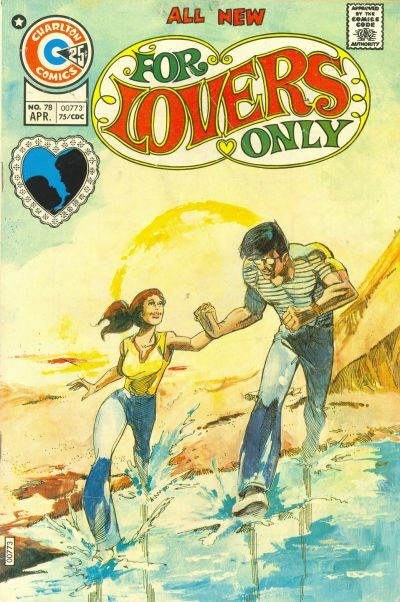 I like all of the arguments for this book, and I agree with CGC that it is a “classic cover”, but as usual I come back to “undervalued” vs. “underpriced”. I see “undervalued” as “it _should_ price higher”, while I see “underpriced” as “it _will_ price higher”. But if we are talking investment, we have to focus on “underpriced”. Given current market dynamics, I don’t really agree with that. Basically the market doesn’t care about nth appearance of a character or most meanings to the history of comics other than first appearances or first issues. So I think the argument has to hinge on the “classic cover”. Unfortunately Giant Man himself isn’t a key character, so Hulk battling him isn’t much draw – so we have to further fall back on just the great Kirby artwork. 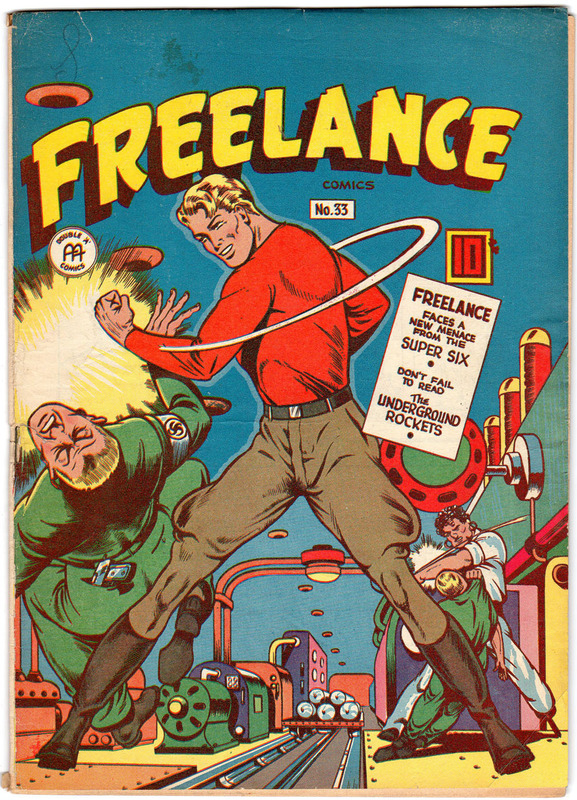 Further devaluing this is the multi-panel cover design – terrible marketing as far as I am concerned. Totally forgot about this book, and have been wanting it for a long time. Grabbed a rough copy with a sharp cover for $20 on eBay. Investment, no, but should be a nice fun piece for my SA Marvel collection. The cover really is great. The introduction of the Hulk’s anger transformation is so important to the core of the character. Everybody child knows what it feels like to uncontrollably “hulk out”. It’s as important as Superman’s flying or kryptonite weakness (both introduced in the Superman radio show and later in the comic, I believe). Not only notable to the character but relatable to the reader… we all have a desire to fly and we all have an Achillies’ heel. Would love to see a list of undervalued books that introduce a fundamental and relatable aspect of a character well beyond their early appearances. Kirby fight covers should only become more popular. Plus Hulk vs Giant Man would be great to see on the big screen (but I think we all know who would win). Great pick, Walt! Funny thing, I started my spotlight formulating for this issue around the introduction of the anger trigger. It was an important piece of my argument. Bushmills and Spotlights don’t always mix! I disagree with Chris and Tim, this book has potential to be a bigger key than it is, to enjoy way more demand and to be worth way more money. Well, we can agree to disagree on value, but I hope we can all agree that the Hulk’s Bobby Rydell hairdo is really boss. Great choice. When I decided to collect a run of Hulk, this issue immediately struck me as one of the best and I have somehow ended up with four copies ! I totally agree it’s undervalued and a big Hulk key – the same is true of TTA 60, 62 and 93. Given the skyrocketing prices of early Hulk 1 I imagine these early TTAs will go up sooner or later – the stories are as formative and fantastic as anything in the first six. For completists watch out for the UK’s Terrific comic number 38 from 1967, which reprinted TTA 59 complete with a totally different colour scheme to the cover, including Hulk with red hair!